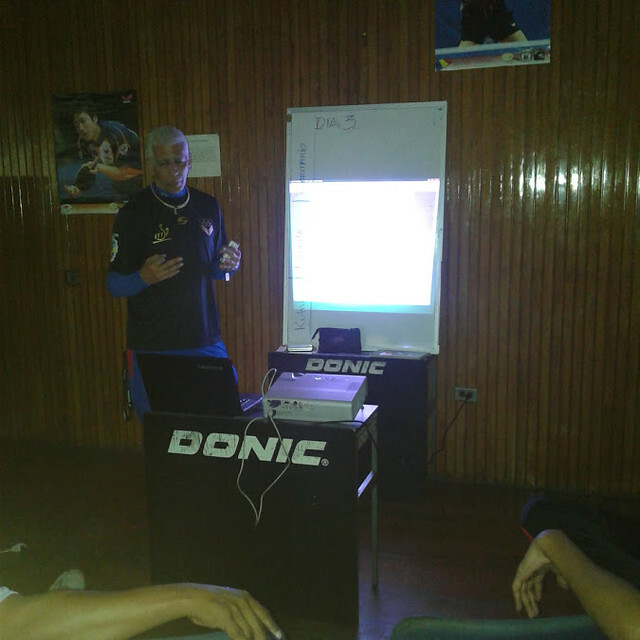 Situated in the north of the country, Caracas, the capital city of Venezuela, was the recent home for an ITTF/PTT Level One Coaches course; proceedings commenced on Monday 25th June and concluded on Friday 29th June. Self-funded but organised under the auspices of ITTF High Performance and Development, the Central University of Venezuela was the home for the whole itinerary. Directed by Professor Miguel Angel Gonzalez, the course conductor, a total of 10 students, eight men and two women, attended; in addition to Caracas, course members travelled from Nueva Esparta, Aragua and Bolivar. Matters were opened by Frederi Castillo, the Director of Sports at the Central University of Venezuela alongside Félix Ducharne, the President of the Venezuelan Table Tennis Federation. A successful initiative was the outcome, course members responding to the efforts of Miguel Angel Gonzalez. Importantly, the premises proved ideal with all the necessary facilities available; local coaches, Daniel Cabrices and Daniel Vegas, were present to offer assistance. The course concluded with Francisco Seijas, the stalwart of Venezuelan table tennis, presenting the certificates.